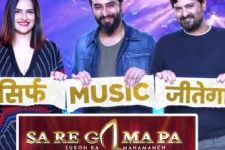 Zee TV's Sa Re Ga Ma Pa, the biggest singing reality show of India, has once again wowed audiences with its mind-blowing talent and entertaining mentors this season. 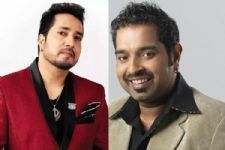 The siblings special episode that will air this weekend mentors Mika Singh, Pritam Chakraborty, Sajid-Wajid and contestants from their respective teams had plenty surprises in store for them. While some of the mentors and contestants had their brothers and sisters send them video messages, others were delighted to have their siblings simply land up on the sets! While all the contestants were excited to meet up with their siblings after such a long time, the petite contestant from Kolkata, Senjuti Das felt left out as she has no siblings. On seeing her crestfallen face, the affable Pritam Da made a lifetime commitment on the sets of Sa Re Ga Ma Pa that he accepts Senjuti as his own sister and will care for her and protect her at all times as a brother. Speaking about Senjuti, mentor Pritam Chakravorty says, "I am blessed to be a part of India's best and most credible singing talent hunt show Sa Re Ga Ma Pa. The show puts me in touch with some phenomenal talent. Senjuti's voice is as melodious as Shreya Ghosal's and with the right grooming, she will go a long way. The other day at the shoot of the siblings special, everyone had a gala time re-connecting with their siblings and family members. But, Senjuti after her performance got very emotional and revealed that she does not have any sibling and has always missed experiencing the happiness that bond brings in everyone's life. I was moved and promised Senjuti to take care of her as a brother and will always stand by her side." Later Javed, the younger brother of Sajid-Wajid, visited the sets and had everyone in splits, sharing some funny anecdotes about his brothers. As if this weren't enough, when it was time to introduce contestants Hashmat-Sultana's brothers and sisters, the audience was stumped on seeing the duo's siblings with a hen named Mulethi, whom they considered a sister. 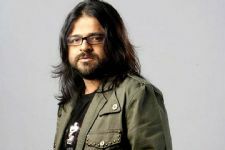 The mentors, jury members, contestants and the audience present on the sets went into a frenzy when Pritam Da serenaded Mulethi. 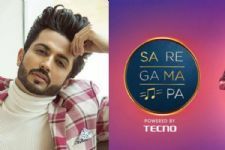 Guess who replaced Sona Mohapatra as the judge of Zee TVs Sa Re Ga Ma Pa! Nawazuddin SHARES about his love English movies!